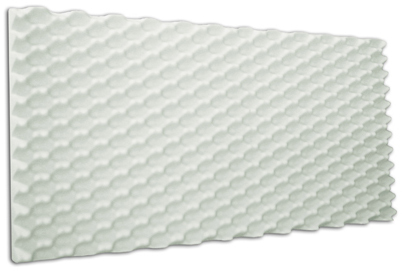 FireFlex are acoustical foam Sound Baffles for walls and ceilings. They are cut from 2’x4’ panels of class A fire rated melamine foam measuring 3” thick. These sound baffles are available in the colors of white, light gray or graphite gray, and are designed to capture and convert the unwelcome echoes from your space to deliver back premium sound quality. FireFlex Baffles are popular for controlling ambient industrial noise levels in high heat environments or where there are open flames. The sound baffles for walls and ceilings combine to lower exposure levels to noise by capturing and converting sound wave reflections of perimeter surfaces, to protect machine operators and other employees in a factory environment. The key to the success of your sound panel treatment lies not in where you locate your FireFlex Baffles, but in ensuring that the right amount of them are delivered to your project site based on your room dimensions. Be sure to submit a Room Analysis if you are unsure as to your quantities so that we can configure your baffle count for you. FireFlex Sound Baffles sell for $98 per baffle measuring 2’x4’ x 3” thick. Orders can be placed by phone at 1-800-638-9355 or online using the link to the left. 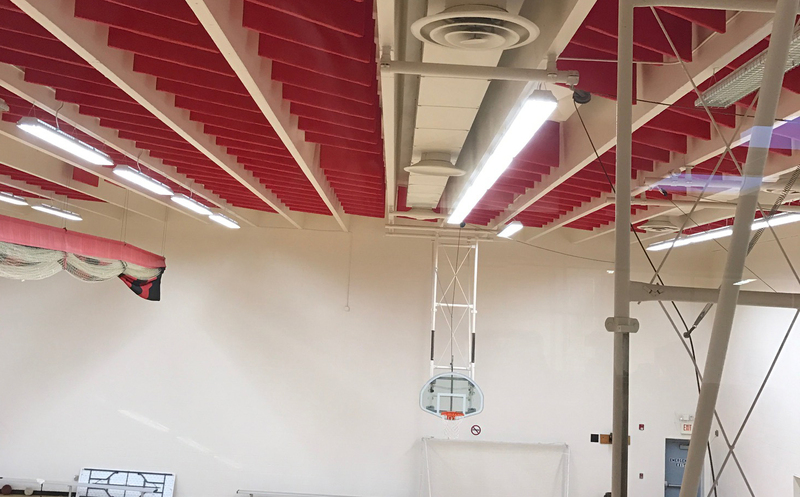 The more common approach to controlling the excessive levels of your noise with a sound baffle system is to opt for a fiberglass version of a sound baffle. You maintain the Class A fire rating but drop your price points considerably. The most popular sound baffle we sell is called the VET Acoustic Baffle. 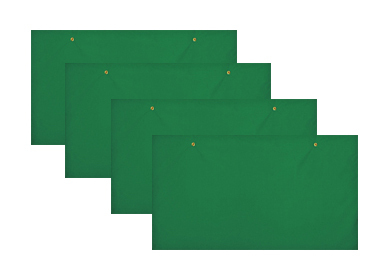 Available in 25 colors, this popular baffle is wrapped in a PVC skin, so it is also water repellant. Any sound baffle installation requires your own hardware to thread through our grommets and anchor mechanically to your ceiling. The goal will be to simply spread the baffles out across the expanse of your ceiling, keep the baffles clear of sprinkler heads, HVAC, pipes, and lighting. For a good visual on our sound baffle projects, we invite you to visit our Case Studies Library. 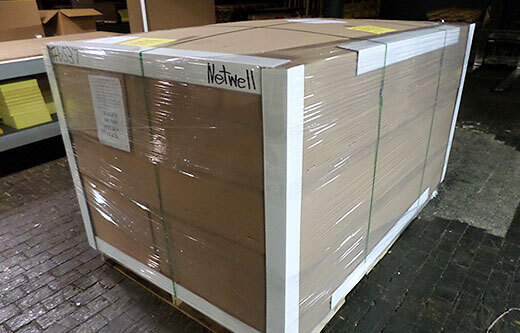 FireFlex Baffles will ship 5 to a box direct to your project site. Smaller projects will ship FedEx Ground, while larger projects will ship common carrier with boxes shrunk wrapped on pallets. Be sure to inspect your order carefully upon delivery and sign for any damaged material that may have taken place in transit. Our popular Room Analysis is complimentary. This innovative tool is designed to target your baffle count and quote your project back. Critical to the success of your sound baffle treatment is to ensure that we calculate the right number of baffles based on room size. Use this form to communicate back to us your room’s dimensions and we will quote the project back.